Free photography ebooks about travel and voyages. 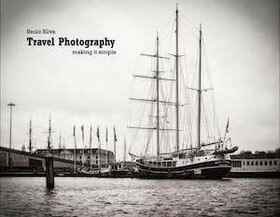 Free travel photography eBooks to learn how to portray a land, a country, its people and culture. Travel photography, unlike other genres is an underestimated genre, though the condition faced by travel photographers are a lot bigger than some of the other types of photography genres where the light and other conditions can be a lot more controllable. With these travel photography eBooks, you will learn many tips and tricks to bring out on your photographs, the best of your travels. Saulo Silva in his "Travel photography making it simple" eBook, will give you many good tips and advises about travel and photography. Saulo Silva said about his book: my approach, equipment and mindset. It is very simple and straight to the point, no science fiction or secret techniques. 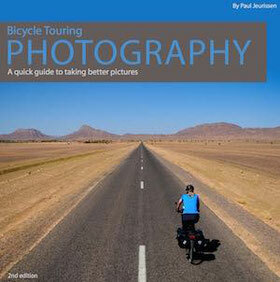 Photography ebook by Paul Jeurissen & Grace Johnson. The first part of this book covers basic ideas and tips on how to improve your cycling pictures, plus provides links to a number of other inspirational photographers. Since you’ll want to photograph more than just your bike, it also recommends various travel, landscape and portrait photo tip websites..